New Kingsman: The Golden Circle – Exclusive Gift Set to include an exclusive Pocket Pop! Kingsman: The Golden Circle arrives on video this December, just in time for holidays. 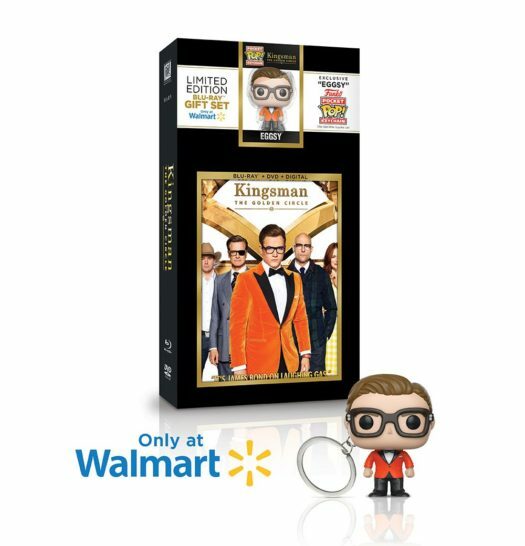 The Walmart exclusive limited edition Blu-ray Gift Set (Blu-ray, DVD + Digital), available December 12th, will include an exclusive Eggsy Pocket Pop! Keychain. Click on the link below to pre-order the new Kingsman: The Golden Circle – Exclusive Gift Set today. Previous articleNew Mortal Kombat Action Figures by Funko Coming Soon! Next articleNew Teen Titans Go! The Night Begins to Shine Pops Coming Soon!